Fast, effective formula cleans and deodorizes. Specifically formulated to not dry out surfaces such as leather or rubber. No alcohol, bleach or phenol. Environmentally friendly and EPA registered. Tested and approved by leading equipment manufacturers. Perfect for controlling and eliminating organisms on high traffic surfaces. Kills up to 99.9% of germs that can cause illness. Proven to kill bacteria such as salmonella, E. Coli, ATCC#10708 and ATCC#11229. 8-in. x 6-in. towelettes. 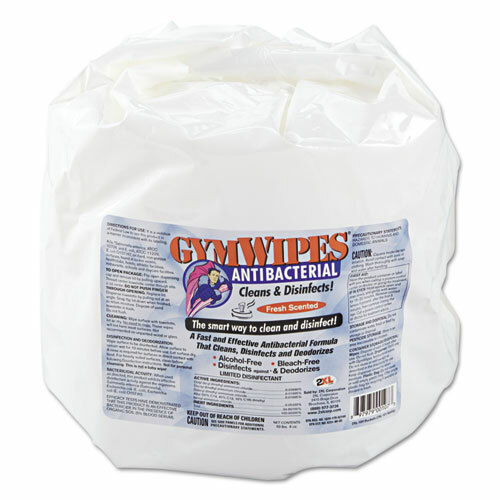 Wipe fabric made from 10% post-consumer material, no VOCs. 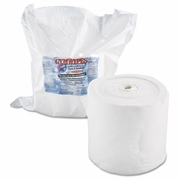 700 wipes per refill package. 4/pkg per case. SOLD BY THE CASE ONLY.